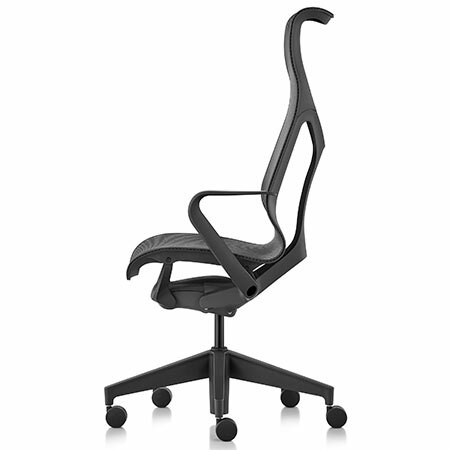 Cosm’s ergonomic support goes beyond mechanics. The frame and fabric suspension work in tandem with the Auto-Harmonic Tilt. 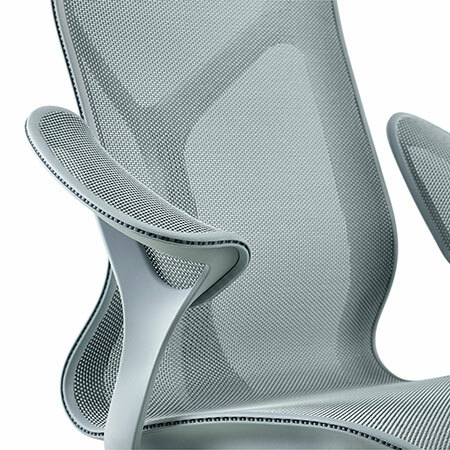 The continuous suspension material, Herman Miller’s new Intercept™, forms to each person’s unique contours, delivering dynamic, uninterrupted support. Intercept delivers thermal comfort while standing up to years of use. The hourglass-shaped suspension attaches to the frame, creating areas of high- and low-tension that provide comfort and support where it is needed most—regardless of body size or position in the chair. 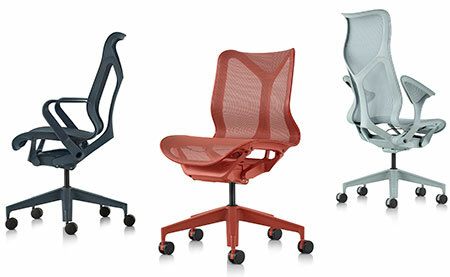 Cosm’s “dipped-in-color” aesthetic is unlike any other office chair. Achieving a precise color match on the metals, plastics, and fabrics that comprise Cosm was a technical challenge that required a great deal of color engineering. The results of these efforts are three all-over hues that are fresh and compatible with Herman Miller’s color palette for other products throughout the family of brands. Graphite, Carbon, and White (dark, medium, and light shades of grey), as well as mix-and-match variations of all of the above. 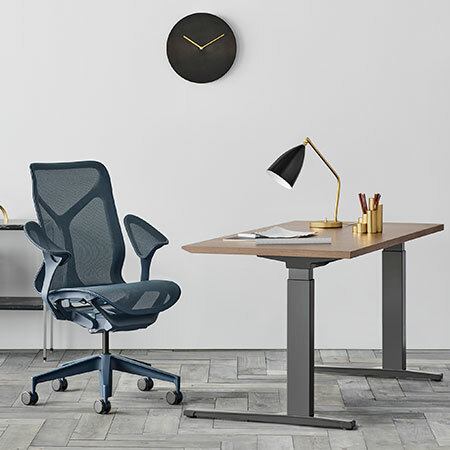 Herman Miller is a past recipient of the Smithsonian Institution's Cooper Hewitt National Design Award and has been ranked number one on Contract Magazine’s list of “Brands that Inspire” for four straight years. Known and respected for its leadership in corporate social responsibility, Herman Miller has earned numerous global sustainability and inclusivity awards including the Human Rights Foundation’s top rating in its Corporate Equality Index for 11 years in a row. In fiscal 2017, the company generated $2.28 billion in revenue and employed nearly 8,000 people worldwide. Herman Miller trades on the NASDAQ Global Select Market under the symbol MLHR.